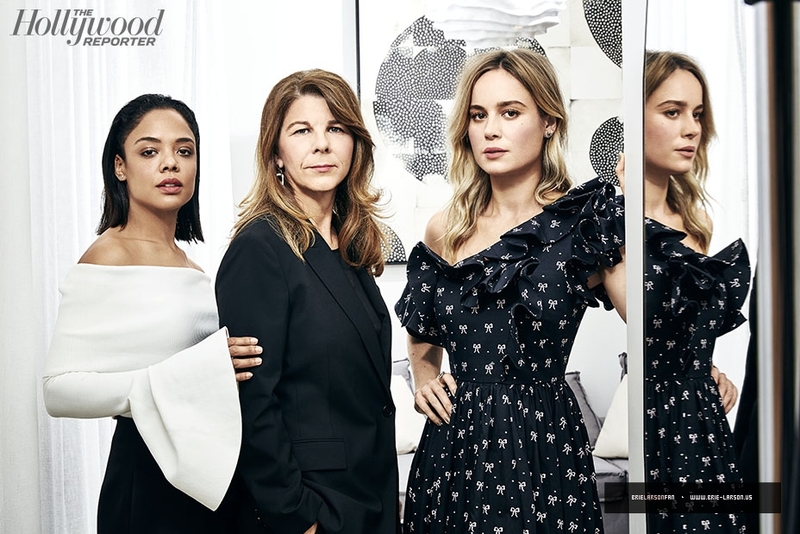 Enter Brie Larson, 29, and Tessa Thompson, 35. The trio first met at an early Time’s Up meeting in 2017 at Larson’s house, where Smith broke out her trusty PowerPoint presentation. “When everything you’ve studied is finally delivered to the audience that it’s intended for, they’re able to take flight with the information in a whole new way,” says Smith. She and a group of actresses presented her statistics and strategy suggestions to leaders at UTA, which represents Frances McDormand, leading to the Oscar winner’s onstage declaration heard around the world: “inclusion rider.” It’s a concept first introduced in a 2014 THR op-ed by Smith, who developed the language with producer Fanshen Cox DiGiovanni and attorney Kalpana Kotagal. Smith, Larson and Thompson also have been on the front lines of pushing for greater inclusion in media. It was an idea sparked at a Sundance gathering hosted by Thompson in January that led to, in June, Smith’s first study analyzing the gender, race and ethnicity of film critics; Larson used her Crystal + Lucy Awards acceptance speech to draw awareness to the issue. A database for studios and publicists, Critical, was launched with Time’s Up: “We have 400 critics on there already,” says the future Captain Marvel. THR gathered the trio for a conversation about action beyond awareness and how to enforce the proposals put forward. What was the significance of coming together for the first time? 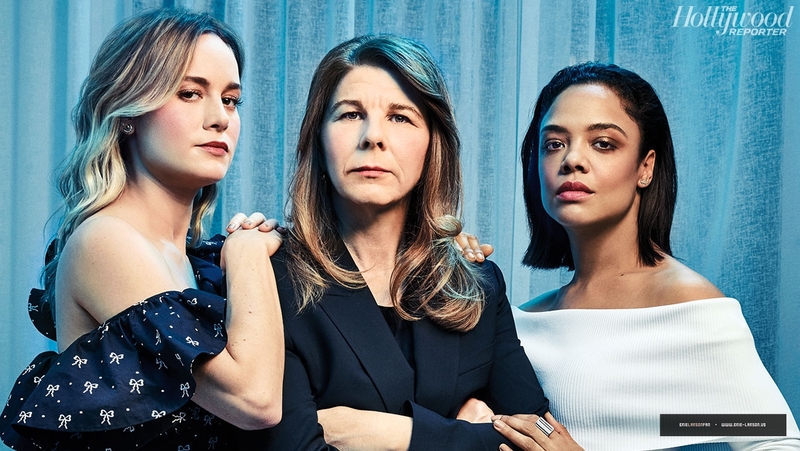 BRIE LARSON Until we were having these meetings, most of us had never met one another, because there aren’t a ton of films that star that many women at once. Most of us had been dealing with these issues alone, not understanding that if we stood together, we had the leverage to actually get things done. 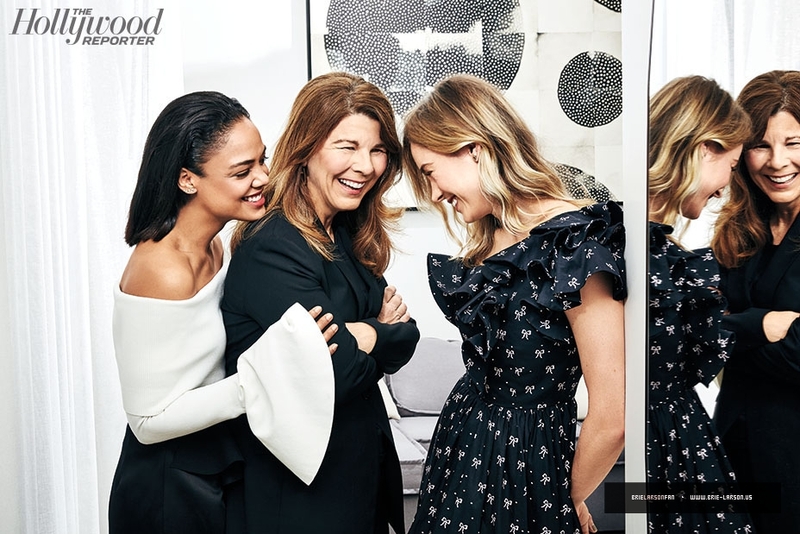 TESSA THOMPSON The feeling when we all got together was that there is a real opportunity to address bigger, systemic issues inside our industry. But how do we qualify and quantify it? Is there a metric for it? Is making people aware of the stats behind underrepresentation compelling enough for them to change their practices? STACY SMITH “Changing hearts and minds” — I’m not interested in that conversation anymore. A lot of awareness happened at Brie’s house that night because the numbers confirmed their experiences. Then they took action, and that’s what we don’t see with studios, production companies, agencies and publications, whose actions don’t translate into hiring practices. I showed a slide at Brie’s house and said, “If we want to create equality for the first time in the history of film, all you have to do is add five underrepresented speaking characters to each of the top 100 films. You’ll be there in five years.” I’ve been saying this to Hollywood forever. Those folks in the room actually listened, and weeks later I’m in a meeting at UTA and Elizabeth Banks is like, “Check out Stacy’s research.” These folks aren’t afraid of holding anyone accountable. THOMPSON I remember having a conversation with Frances McDormand about the inclusion rider at a party during awards season, and then she’s onstage saying it to the world, and it becomes a call to action. The most powerful moments of activism are when we have a lot of different people in the room and we’re trying to decide how to best use everyone. How is the inclusion rider supposed to work? Who will hold productions accountable? SMITH The inclusion rider talks about auditioning and interviewing. A few years ago, we asked 60 buyers and sellers to name female directors on their consideration lists, and the common response was zero. Yet there have been more than 100 women [directors] at Sundance the past decade. So we haven’t found a lack of talent. We’ve found a lack of imagination. LARSON There are not a ton of people of color on some of them, given how many people of color there are in Atlanta. In certain departments that might be understandable, but when you look at PAs, that doesn’t make any sense. SMITH A lot of people get nervous about quotas. At a recent Time’s Up meeting, we had ACLU members explain that setting inclusion goals is completely acceptable. It’s a very simple formula to create change. You set goals, open up the interviewing process. You measure your successes and challenges in hiring — it might be different geographic locations or a lack of accessible talent in a certain area. Then you let folks know the strengths and weaknesses in the approach, so you can adapt and move forward. To be held accountable, you let the public and shareholders know how you’re doing. We’re at a place with social media that there are repercussions when actions are taken that don’t look like the world we live in. Brie, your upcoming film with Michael B. Jordan, Just Mercy, is the first Warner Bros. movie to fall under the studio’s inclusion policy. What have you learned about implementation? LARSON When it came time to implement it, Warner Bros. wasn’t quite [comfortable with] an actor implementing it. So Michael worked with them [as an executive producer]. Just Mercy filmed in Atlanta, so they were able to pull from a certain talent pool there, but I also think they had to fly in certain people in order to meet the quota they were committed to. The movie was made with more than 70 percent people of color, and it was the best experience I’ve ever had. It was the first time in my career that I had hair, makeup and wardrobe crew that were all people of color. I’ve been in SAG since I was 7 years old. Twenty years I’ve been surrounded by white people. It saddens me to recognize that we’ve been segregated in this way within our industry. What else can actors do to advance the cause? SMITH For the first time, there are no boundaries in terms of who’s accessible. If I have a question, I can text Tessa or Brie, and it can set off a text or email chain to get me to whoever I need to have a conversation with. The network that [these actors] have is extraordinary, because it’s producers, directors, actors, executives and agents. The goal is to activate that network with everybody on the same page to move the issue forward. LARSON On the Captain Marvel press tour, I’ll be pushing for representation across the board: my interviews, magazine covers, the clothes that I’m wearing. It means spending more time thinking about things than you sometimes want to, but it’s worth it. Why should anyone expect change to happen? SMITH I finally have figured out how we change the industry. It’s not just old academics writing a report. You have to get the folks that are deeply ingrained in and know the nuances of the industry. And then you build a strategy of action around that and do it on behalf of everyone who is oppressed or marginalized in some way. And we’re just getting started.